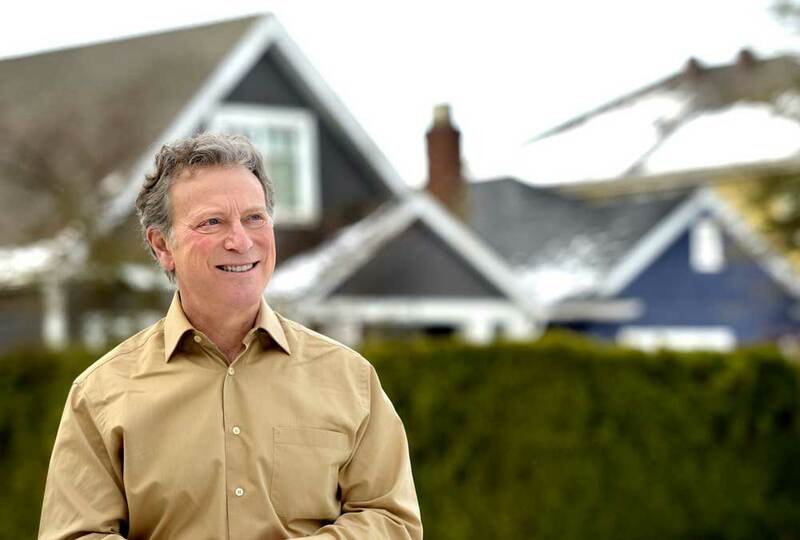 On February 9, 2018, B.C.’s Minister of Environment and Climate Change Strategy, George Heyman, joined our public dialogue to discuss cities, climate, and energy. 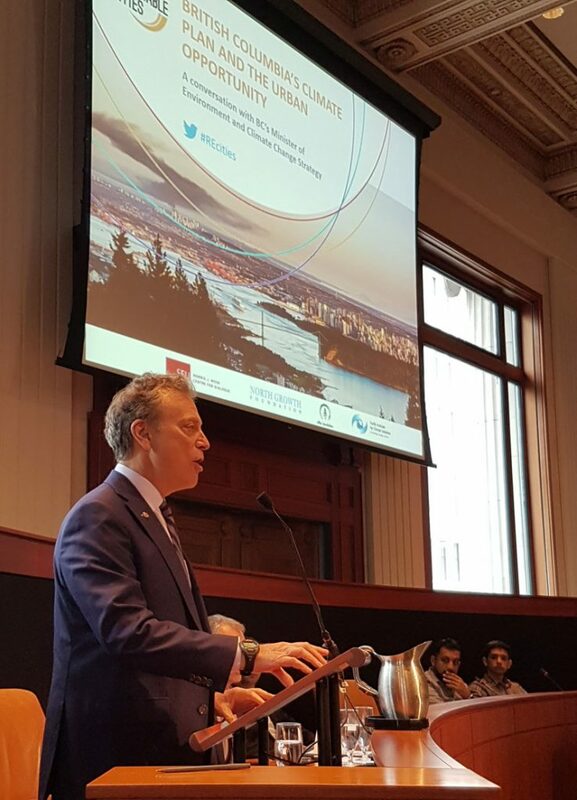 Renewable Cities’ Executive Director Alex Boston opened the discussion and outlined British Columbia’s past leadership and climate goal progress. “B.C. was the first jurisdiction in North America to recognize the critical role that local governments must play to advance a deep emissions reduction agenda,” he said. Boston explained that municipalities are responsible for approximately half of all carbon emissions in the British Columbia. He pointed to pioneering legislation in the Climate Action Charter and the Green Communities Act. “This isn’t just a climate issue,” Boston said, “We can strengthen our prosperity, our social imperatives.” However, despite a plethora of projects and initiatives at the provincial and community level, emissions are not trending in the right direction (see chart from presentation). B.C.’s environment minister began by pointing to climate impacts like extreme weather, which are happening today and manifest locally. Speaking to his experience at the last UN Climate Convention, COP23 in Bonn, Minister Heyman was struck by the “tremendous resolve and initiative” of cities and states who make up the We Are Still In coalition. “This [inspiration] will stay with me as we build a new climate plan,” he said. Relating this leadership to British Columbia, the Minister explained that the province’s communities, “aren’t waiting for others to show the way,” and cited a number of examples of action: 1) North and West Vancouver’s adoption of the BC Energy Step Code; 2) Vancouver’s ambitious energy efficiency codes; and 3) the establishment of an electric vehicle fast-charging network in B.C.’s interior. With a nod to B.C.’s initial success in reducing emissions beginning in 2008—when carbon pricing and other measures came into play— the Minister said the province will adopt a new 2030 target that will see a 40% reduction in pollution below 2007 levels. The target would include sectoral goals, including for built environment, transportation, and industry. “We have huge choices and challenges, and huge opportunities,” he said. Reducing carbon pollution can make life more comfortable, satisfying, and more affordable for residents. Minister Heyman supports transitioning away from international combustion engines (ICE), but recognizes zero-emissions vehicles aren’t a panacea for all community problems. The Minister pointed to a global trend towards banning fossil fuel-powered engines, highlighting leadership from France, the United Kingdom, and elsewhere. “Norway is already at 25% [electric vehicle market share] with very aggressive plans,” he said, “GM and Ford have recently announced in light-duty vehicles they plan on phasing out ICEs very soon.” Still, according to Minister Heyman, zero-emissions vehicles only constitute 1% of British Columbia’s new car sales despite efforts here. The Ministry of Environment and Climate Change Strategy will be looking at EV-charging infrastructure and access, including down the coast through Washington, Oregon, and California through the Pacific Coast Climate Collaborative. Responding to a question about the social and health impact of single-occupant vehicles, Minister Heyman said, “A bigger step is more accessible, widespread public transit.” Switching transportation fuels will not solve congestion issues. The decision to continue Site C dam: renewable energy, but at a cost. Minister Heyman shed light on the NDP government’s decision to continue to the Site C dam, which was initiated by the previous administration. “I certainly don’t claim that is the best way to get energy and that wasn’t the basis of our decision,” he explained. One participant suggested that the province has not been supportive of the mayors of Metro Vancouver’s drive towards mobility pricing and transit funding. While Minister Heyman did not address the provincial government’s seeming lack of enthusiasm for mobility pricing, he did say, “Breaking the importance of the logjam on transit is important.” Minister Heyman pointed out that the province would pick up 40% of the tab for funding for the Mayors’ Council’s 10-year transportation vision. 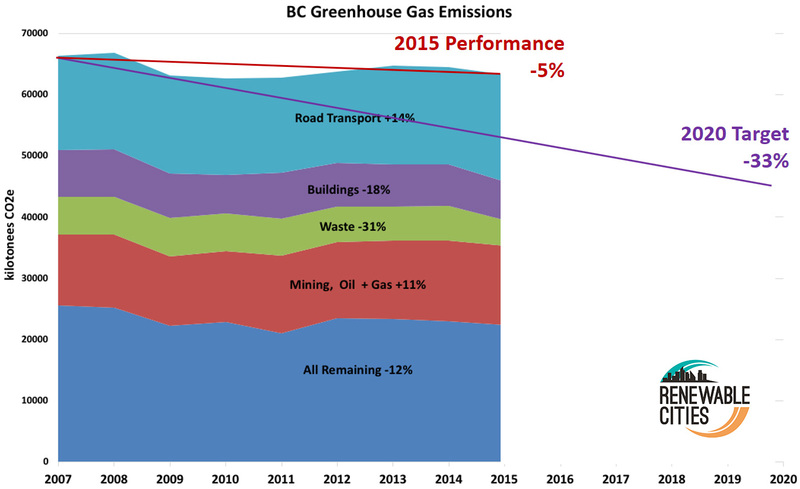 Alex Boston cautioned that the plan, which is a “$7.5 billion plan, a Site C-sized plan”, would result in nearly business as usual growth in GHG emissions unless better land use could be assured. Citing the adoption of the new BC Energy Step Code by several municipalities, one participant suggested these policies could lead to increased costs for residents, “Is the climate plan going to consider if cities will remain affordability?” Minister Heyman stated that the new climate plan would not directly address affordability, but that the costs of building more energy efficient residences would get progressively more economical over time. “The more the builders that adopt the technology that gets us to higher energy efficiency or net-zero, the cheaper the process gets,” he explained, “That’s certainly been the experience in Europe. Then energy [cost] savings will be realized.” He cited that commercial and multiple-unit residential buildings would likely lead the way. Renewable cities, northern British Columbia? Minister Heyman spoke to options for northern communities and outlined opportunities for the province and local governments to work together. He cited increasing public transit and building out EV infrastructure. Based on his experience of “many years living in Terrace”, the Minister explained that cold winters require large volumes of fossil fuels to be combusted for heating. He explained that aggressive retrofits, strong building codes, and using renewable heating fuels are options for reducing community emissions here.